The EMX3 soft starter by Saftronics features the latest technology in a single motor starter and management solution for a wide variety of applications, including pumps, compressors, bandsaws, irrigators, and conveyors. The EMX3 series offers constant current, current ramp, and adaptive control technology, and is the first soft starter to control both acceleration and deceleration rates. The EMX3 series offers easy installation. This series may be configured for top, bottom, or left side control wiring to provide improved access. Simplified setup screens help to quickly configure the starter for the most common applications by recommending default settings that may be modified for application-specific needs. You can select the soft start method that best suits your application: voltage ramp, acceleration ramp, or current ramp. 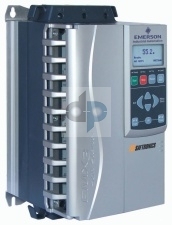 The EMX3 also features a simulation mode, enabling the user to test the operation of the soft starter before connecting to a motor or line voltage, including Signaling, Protection, and Run simulation modes. The EMX3 is suitable for low inertia applications, such as conveyors and pumps, and the smooth stopping of the EMX3 can eliminate or substantially reduce water hammer in pump applications. The EMX3 is also suitable for high inertia applications. The braking algorithm of the EMX3 results in shorter, smoother stops of high inertia loads. The large display of the EMX3 means that users see real text messages, instead of receiving message codes that you must look up in a manual. The IP65 keypad can be removed for mounting on the cabinet exterior for a clean looking installation.